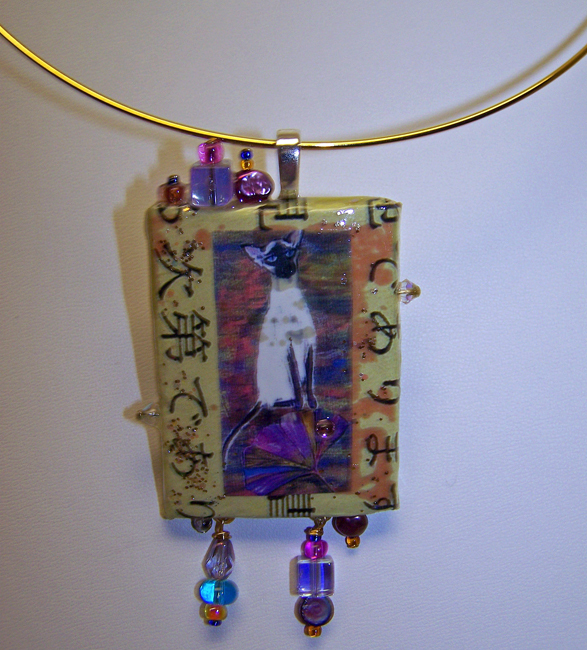 This is a unique collaged pendant featuring one of Mary's print, "Siamese and floating gingko." Very light weight, with a glossy finish. Small silver metal bail is 1/4 inch wide to allow a neck ring or small chain. Pendant is 1 1/4 inch wide by 2 inches long. Predominant colors are black, white, pale yellow and lavender. (Neck ring not included).